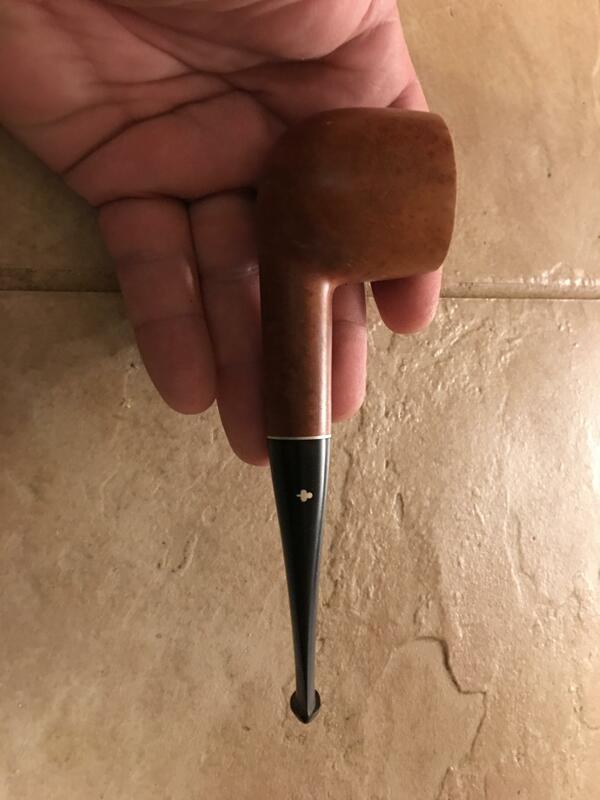 Got a white kaywoodie off eBay. I was going to just clean it, but the rim was AWFUL. So I just sanded the whole thing and rubbed some shoe polish on it. Has a few pit fixes, but I kind of like those. 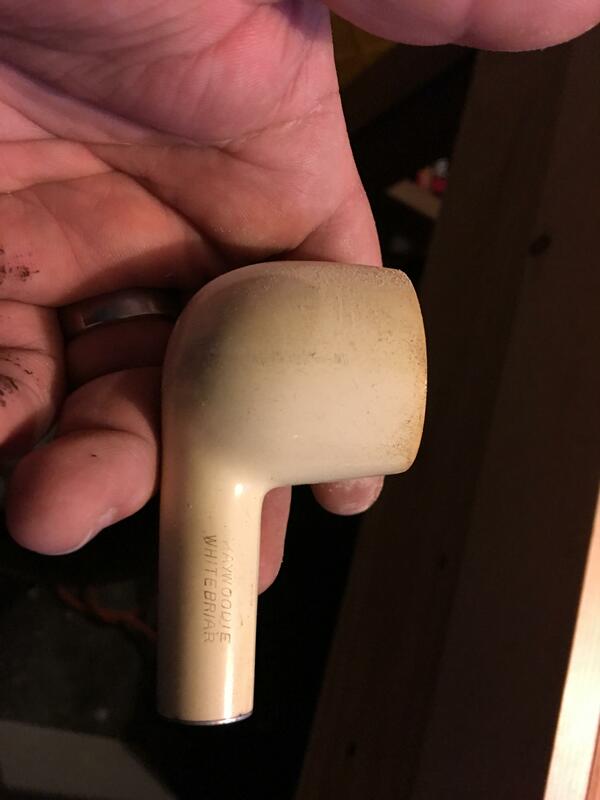 This is going to be my car and “Everyman” pipe for yard work, chopping wood, all those times that I don’t want my very expensive pipes in danger. 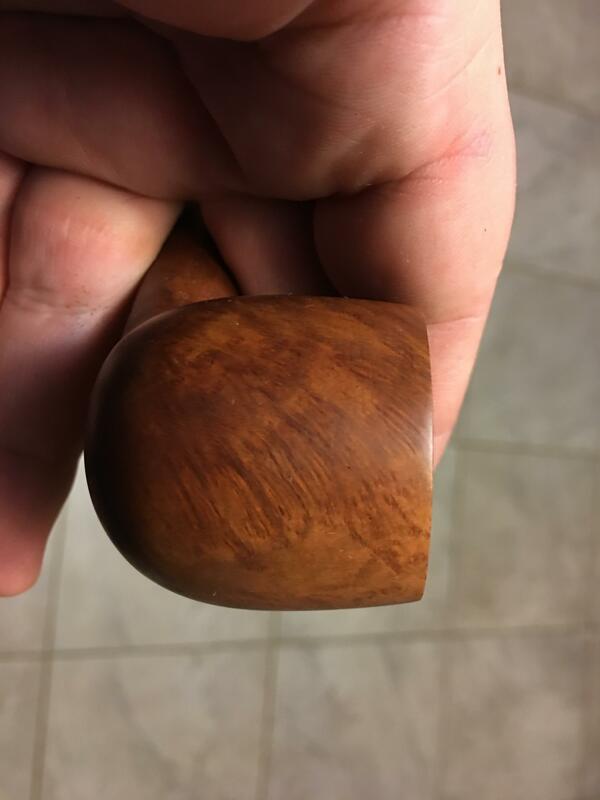 Not bad for a $5 pipe!! I’m very happy with the outcome!! This is your first post - welcome! Well that puts 2 of us in the minority. A lot of the working man pipes (won't name names) made excellent shapes, but the mud in their pipes was so obvious. It would have suited me just fine if they had left the pits in, left the pipes virgin and just sprayed their finish. 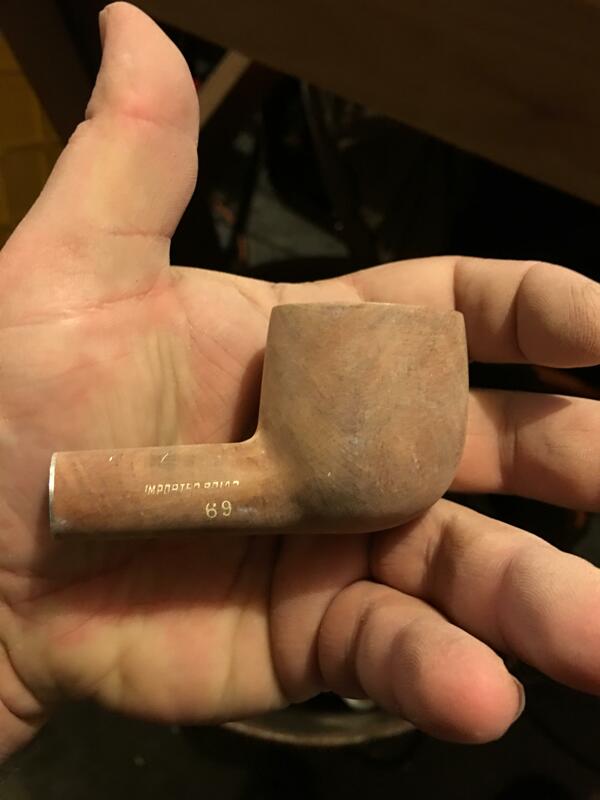 Voila... manly man pipe. Also in the don't bother filling camp. I find the little sand pits and defects interesting. I really dig a lot of the unfinished pipes where they leave the briar bare, al la Morgan Bones. Welcome to PSF! That turned out really nice!